$30 iTunes Gift Cards for $25! Hurry over to Walmart, because right now you can get $30 in iTunes Gift Cards for ONLY $25! 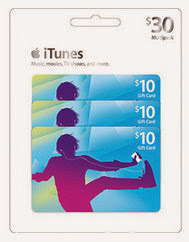 You will get three $10 iTunes Gift Cards, so you could use this as three separate gifts or one bigger one! Great stocking stuffers! Right now at Perfumania you can take 25% off most gift sets with coupon code DEALSETS25 until Deember 16th. I just grabbed this FANCY for Women by Jessica Simpson for $14.99 with code DEALSET25. You can also grab two if you need because they are Buy One Get One for $9.99. Can't not combine the coupon above with the Buy One Get One for $9.99...but it puts two Gift Sets for $29.98. Hurry over and grab a Disney Character Pillow Pet for only $7.88 (Retail $19.95). Available in 11" or 18"
Choose from Dora The Explorer. Tow Mater, Spongebob Squarepants &amp; Thomas The Train Engine (sold-out). Shopping this weekend? Here's a list of coupon worth checking out. Still need Christmas cards? Today ONLY at Cardstore get 49¢ Flat Holiday Cards with the coupon code: CCP3134 at checkout. The selection of cards is awesome! Select from Christmas, Kwanzaa, Season's Greetings, or even New Year's Cards. Personalized cards only take minutes to create, so start shopping for your holiday cards now and save! 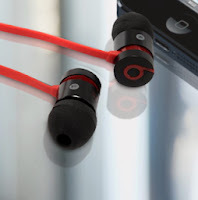 **These are $0.95 Shipped – the option to send for free is no longer available.. OR shipping is free when you spend $30. Right now you can get this ZAGGkeys MINI 9 Case/Keyboard for Apple iPad mini for only $25 (Retail $89.97). Walmart Christmas Countdown Sales Event! Walmart is having a Christmas Countdown Sales Event starting today, Friday, December 13th. Plus if your looking to get your hands on a Sony PlayStation 4 Console, it may be your last chance on Sunday, December 15th expected to go live at its retail price. Customers can continue to take advantage of Walmart's Christmas ad match, which enable shoppers to match competitors' prices before or after a purchase. With Christmas ad match in-store only*, which covers thousands of items, including electronics, toys and grocery products, if a customer happens to find a lower price on an item already purchased through Dec. 24, the customer brings in the receipt and the competitor ad to the customer service desk at a local Walmart. The store will match the price and give the customer the difference on a gift card. Don't forget if your looking to do your shopping online, Wednesday, December 18th is the final day that many retailers will offer free shipping for orders guaranteed to be delivered by Christmas Eve. 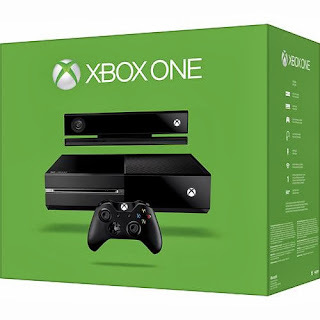 XBox One Console in stock $499.99 & Free Shipping! HURRY because Best Buy has the XBox One Console in stock for $499.99 + FREE Shipping ~ and guarantee for Christmas Delivery!!! This will sell out quick! HURRY! This is a crazy low price! 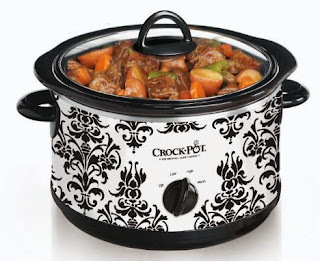 Right now you can get the Damask Pattern Crock-Pot Slow Cooker (4 1/2 quart) for ONLY $12.74 (Retail $29.99)! 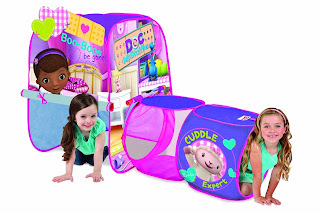 Get the Playhut Doc McStuffins Discovery Hut Tent for only $11.99 (Retail $34.99)! *HOT* VTech InnoTab 3S Tablet Fairies Bundle $39.99 (Retail $99.99) & Free Shipping! WOW! If you are still looking for a deal on a tablet for kids, hurry and get this VTech InnoTab 3S Tablet Fairies Bundle for only $39.99 (Retail $99.99) & Free Shipping. Plus, you can add on the VTech AC Adaptor for only $4.50 (Retail $9.99). This has been the cheapest price I have seen this season. 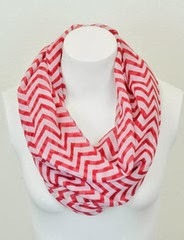 *HOT* Chevron Infinity Scarves $7.95 & Free Shipping! It's Fashion Friday over at Cents of Style! TODAY ONLY and while supplies last, you can get Chevron Infinity Scarves for ONLY $7.95 plus FREE Shipping! Enter promo code CHEVRON8 in order to take advantage of this deal! There are several colors available and they are already selling out. These will be shipping this weekend and beginning of next week in plenty of time for Christmas. Be sure to head over and pick your favorites now! Here is another great freebie from Kroger you won't want to miss. Today Only, sign into your Kroger Plus Card account and get the Free Friday Download for (1) FREE package of Friskies® Party Mix OR Indoor Adventures Cat Treats, 2.1 oz.